Rick Braddy is founder and CEO of Houston-based SoftNAS, a cloud data platform company and software-defined NAS provider. Rick is an innovator, leader and visionary with more than 30 years of technology experience and a proven track record of taking on business and technology challenges and making high-stakes decisions. Rick is a serial entrepreneur and former Chief Technology Officer of the CITRIX Systems XenApp and XenDesktop group and former Group Architect with BMC Software. 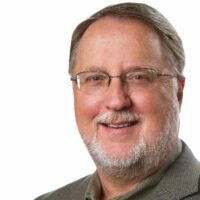 During his 6 years with CITRIX, Rick led the product management, architecture, business and technology strategy teams that helped the company grow from a $425 million, single-product company into a leading, diversified global enterprise software company with more than $1.2 billion in annual revenues. Rick is also a United States Air Force veteran, with military experience in top-secret cryptographic voice and data systems at NORAD / Cheyenne Mountain Complex.